When Robert Fripp declared in 1974 that King Crimson had ‘ceased to exist’ nobody could have foreseen that they would break their silence seven years later with an album that perhaps had more in common with the then current post-punk new wave than the band’s progressive rock past. Released in 1981, "Discipline" was a startling reinvention with a new line-up performing radically different material that managed to delight fans, confound critics & pick up a substantial new audience along the way. 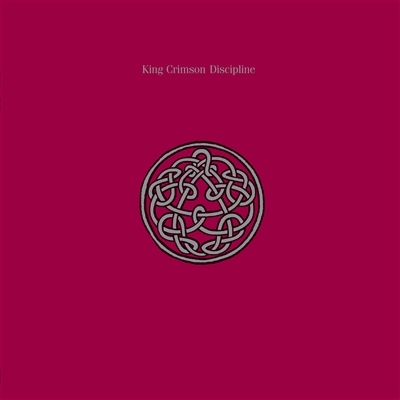 37 years later “Discipline” remains one of the key albums of the early 1980s & one of King Crimson’s most popular. As different from the 1970s King Crimson, as the 1970s line-ups had been from the 1960s band, the new quartet of Robert Fripp, Bill Bruford, Adrian Belew (ex-Zappa, Bowie, Talking Heads) and Tony Levin (Peter Gabriel, John Lennon & hundreds of others), rapidly established itself as a force on the live circuit. The longer songs of the 1960s & early 1970s & the extended improvisations of the live performances from the earlier touring bands were replaced with a series of mostly short taut songs imbued with a minimalist aesthetic that featured complex interwoven guitar lines, (coined ‘rock gamelan’) Belew’s distinctive vocals, Bruford’s new armoury of electronic percussion & Levin’s fluid bass & Chapman stick lines. Songs written for the album became firm fixtures in the band’s repertoire and the stature and influence of the material has grown over the years. Indiscipline is regularly performed in a much rearranged version by the current King Crimson line-up & the title track also made set-list appearances in last year’s US tour. The album charted on release in many countries – including the UK & USA - while the touring schedule took the band through Europe, the US & Japan in its first year of activity. By the end of 1981 Crimson was, once again, viewed as one of rock music’s premier outfits. “Discipline” is also, apparently, credited as the cornerstone of ‘Math Rock’ - for what that’s worth.